Back in 2014, a tentative agreement was secretly negotiated with the BNSF by a SMART "International Representative" and the Chairman of the largest UTU (SMART Transportation Division) General Committee on the BNSF. 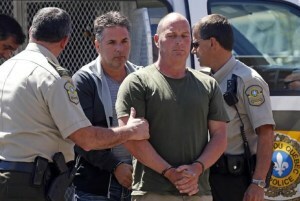 The agreement would have allowed for operation of freight trains on the BNSF without a Conductor in the cab. RWU has always taken a position adamantly opposing single employee train operations. Once we found out about the tentative agreement, we immediately mobilized our members and assisted BNSF SMART members in mounting a comprehensive "Vote No" campaign. Below you will see some of the actions taken by RWU, and the materials we created and employed during the campaign. We expect to run a similar campaign if and when the rail carriers mount another such attack! 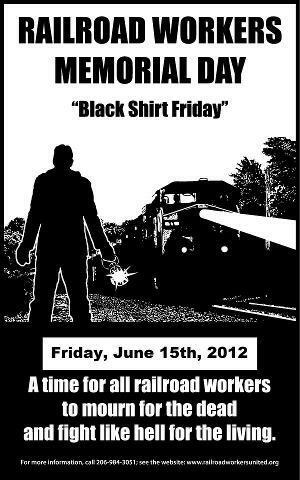 Railroad Workers United (RWU) is a caucus of rank-and-file railroaders in North America that has campaigned against the implementation of single-employee train crews since the organization was founded in 2008. The 24-hour, safety-sensitive nature of railroad operations makes single-employee train crews a potential danger to the environment, to railroad workers and the general public. The recently announced tentative agreement between BNSF Railway and the Sheet Metal, Air, Rail and Transportation Union (SMART) would implement engineer-only operation of mainline freight trains on portions of the BNSF railway system. 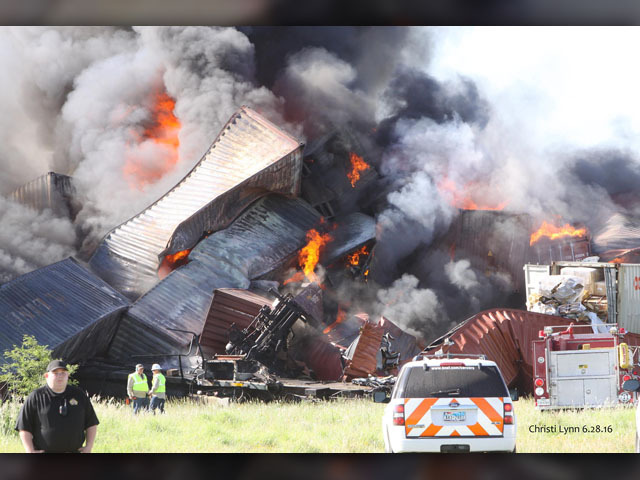 In the aftermath of recent rail disasters in North America, the Federal Railroad Administration (FRA) has demanded wide-ranging changes in safety measures for trains carrying hazardous shipments. The FRA has also recommended that a minimum crew size of two persons is essential for safe operation of through freight trains. Following the announcement of the tentative agreement between SMART GO-001 and BNSF Railway, SMART-TD President John Previsich reiterated that it is the official position of the union’s leadership that safe operation of trains requires a minimum of a two-person crew. RWU agrees with both of these recommendations and urges all BNSF employees who would be affected by this agreement to vote ‘No’! This tentative agreement would create a new position of “master conductor,” who would be notified when a train is stopped and requires assistance. In these cases the master conductor would drive to the train and perform the normal duties of a conductor on the ground. But unlike the current conductor, the master conductor would no longer be on board the train to oversee operation of the train along with the engineer from the cab of the locomotive when the train resumes its trip. Master conductors would no longer perform what is currently the primary responsibility of a conductor - supervising the safe operation and administration of the train. Without an on-board conductor, there is no one to assist the engineer to observe wayside signals and to watch other trains for defects, no one to remind him/her of impending speed restrictions or other hazards ahead, no one to keep him/her focused and alert. And the inability of a traveling “master conductor” to arrive on scene in a timely fashion in the case of an emergency presents a serious threat to the safety of the engineer, emergency response personnel, and the public in the event of a derailment, grade-crossing accident, or other emergency. For years the railroad carriers have been trying to implement single-employee train crews to cut labor costs with total disregard for the safety of its employees and the communities that are affected by railroad operations. 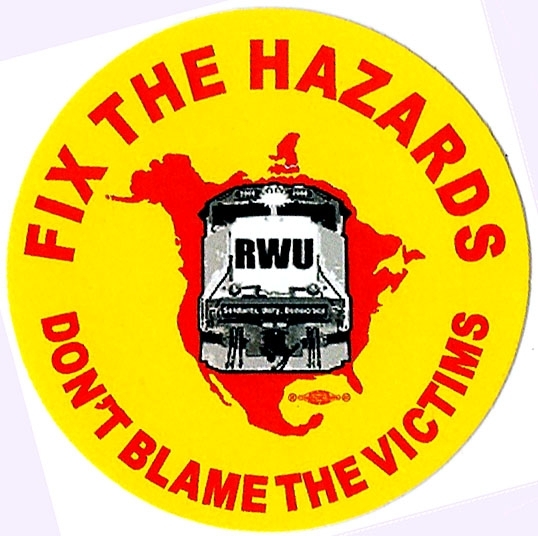 RWU strongly urges railroad workers to stand strong against BNSF Railway’s efforts to undermine the safety of its operations in the interest of cutting costs at a time when the company -- under the ownership of Berkshire Hathaway -- is enjoying all-time record profits generated by the hard work and dedication of its workforce. This tentative agreement is an attack on the safety of our workplace and our communities -- RWU urges all effected BNSF employees to vote ‘NO! This flyer gives a dozen ways that rank and file members can assist in building the VOTE NO! Campaign. This form is set up so you can use your Local/Division letterhead..
Below is an open letter to SMART GO-001 General Chairman Randall Knutson. Please look it over and forward to your contacts. A pdf of the letter on RWU letterhead is attached as well. Feel free to make copies and post. The Steering Committee of Railroad Workers United (RWU) strongly urges that the officials of SMART-TD GO-001 immediately release the vote totals of the recent ratification vote for the Tentative Agreements on BNSF. To withhold this information from the members any longer is a travesty of democracy, and a slap in the face to every railroad worker in North America, especially to those working for the BNSF and particularly to those members of SMART-GO-001 who cast their ballot and have a right to know the outcome of the vote, regardless of which way they may have voted. In an email to the local chairmen of your GCA it was announced by your office on September 10th, 2014 that the TAs were voted down. Yet, here we are, two weeks later and you have seen fit to withhold the actual vote totals from the membership (and everyone else). Why? Anyone can understand that there might be challenged ballots, spoiled ballots and other reasons why a final count cannot be stated immediately. But surely there is a tentative count, one that was definitive enough that your office was able to state unequivocally that “…we have completed the tabulation of ratification ballots for the tentative Crew Consist Agreement and Wage & Rule Settlement, and neither agreement was ratified.” So the preliminary numbers do exist. Why can’t the membership know what they are? You go on to state that, “a more complete summary of the vote will be forthcoming in the next several weeks but we felt it was important to provide you and our members with immediate notification that these agreements were not ratified.” Thank you. But your words suggest that there was a “less complete summary” made available. However, that is not the case. Other than informing the membership that the TAs were voted down, your office has not provided any kind of information, summary or otherwise. Can you imagine the outcry there would be if in say, a mayoral race, the election commission announced the winning candidate … but then failed to provide a vote count? We can see no reason why these figures have not been released. Whether they be preliminary or final, the members have a right to know. For your office to withhold them any longer will simply cast further doubt upon the integrity and honesty of SMART-TD GO-001. Rank & File Votes Down TA by 5-to-1 Margin! The SMART GCA of the BNSF has finally released the numbers!! Please see the official numbers below. 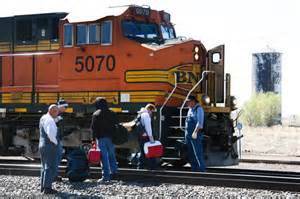 The proposal to run train with a single employee was completely blown out of the water by the rank and file of the BNSF! The Tentative Agreement was voted down nearly 5-to-1. This is truly historic! All of our efforts the past 10 years have paid off. Mark up a victory for the rank & file! Single Employee Crews -- Hell No! Where Are the Rail Unions in this Fight? Back in the old days, in order to operate safely, a freight train used a five-person crew—an engineer, a fireman, two brakemen, and a conductor. After two-way radios and electronic air brake monitoring allowed the railroads to eliminate the caboose in the 1980s, crew size went down to three. Tough contract negotiations eliminated another crew member, so now almost every freight train rolling across the U.S. is operated by just an engineer and a conductor.